servant, worshipper, slave. Muslims consider themselves servants and slaves of God. Common Muslim names such as Abdullah (Servant of God), Abdul-Malik (Slave of the King), Abdur-Rahmān (Slave of the most Beneficent), Abdus-Salām (Slave of Peace), all refer to names of Allah. anno hegirae The Islamic calendar starts counting years starting from the time when Muhammad (SAW) had to leave Mecca and go to Medina, an event known as the Hijra: July 16, 622.
members of Muhammad (SAW)'s Household. Also known among Shia as the Ma'sumin (infallibles; spiritually pure). Muhammad (SAW)'s mother. Aminah fell sick and died in Abwa, near Madina (then Yathrib) when Muhammad (SAW) was six years old. This acronym evokes a blessing and is appended to the names of the prophets who came before Muhammad (SAW). It will also be applied to the mothers of those prophets. When following a woman's name, the feminine form is 'Alayhas-salaam. Tenth day of the month of Muharram. It is the day God saved Moses and the children of Israel from the Pharaoh. The grandson of the prophet Muhammad (SAW), Imam Hussayn sacrificed his life along with 72 of his companions on the sand dunes of Karbala. Sunni Scholars recommended to fast during this day. To the Shias, it is also a day on which they mourn the death of the third Shia Imam, Husayn ibn Ali, along with his family and companions, who were killed in the famous battle in Karbala. They cry and weep and organize lamentating programmes where they not only learn how to live a proper Islamic life and improve their Spiritual Self but also cry at the end of the ritual to show their true love and faith towards imam Hussayn. The Islamic greeting; literally "Peace be upon you"; In addition, wa-Raḥmatullāhi wa-Barakātuhu (ورحمة الله وبركاته) means "and the Mercy of God and His blessing". The response to this greeting is wa-‘Alaykum us-Salām wa-Raḥmatullāhi wa-Barakātuhu (و عليكم السلام ورحمة الله وبركاته) --"And on you be the Peace and Mercy of God and His Blessing". Human(s). Literally means 'face' but generally it refers to a person (man/woman). Blessed be His Name - acronym for S.A.W.S. - see P.B.U.H (Peace Be Upon Him). literally successor; refers to the successor of the Prophet Muhammad (SAW), the ruler of an Islamic theocracy. Muhammad (SAW) and his followers' emigration from Mecca to Medina. Literally, "migration". This holiday marks the beginning of the Muslim New Year on the first day of the month of Muharram. See Rabi Al-Awwal and abbreviation AH. Literally this means "wisdom" and refers to the highest possible level of understanding attainable by a Muslim. In particular, it refers to the illuminative, mystical sort of wisdom that a Gnostic or Sufi might accomplish. festival or celebration. Alternatively tranliterated Eid. literally, leader; e.g. a man who leads a community or leads the prayer; the Shi'a sect use the term only as a title for one of the twelve Allah-appointed successors of Prophet Muhammad (SAW). successorship of Prophet Muhammad (SAW) and the leadership of mankind. If it is God's will; Inshallah is "resigned, accepting, neutral, passive. It is neither optimistic nor pessimistic." Jesus - 'Isa ibn Maryam (English: Jesus son of Mary), a matronymic (since he had no biological father. The Qur'an asserts that Allah has no sons and therefore, 'Isa is not the son of Allah. Muslims honor 'Isa as a nabi and rasul. the night journey during which Muhammad (SAW) (محمّد)is said to have visited Heaven. See miraj. Literally, “words” or “speech,” and referring to oration. The name applied to the discipline of philosophy and theology concerned specifically with the nature of faith, determinism and freedom, and the nature of the divine attributes. "There is none worthy of worship other than God." The most important expression in Islam. It is part of the first pillar of Islam. Also is the message of all the Prophets, such as Abraham, Moses, Jesus and Muhammad (SAW). the Night of Power, towards the end of Ramadan, when Muhammad (SAW) received the first revelation of the Qur'an. angels (Sing. Malak). It was one of these mala'ika, Jibril (Gabriel) who delivered Allah's revelation to Muhammad (SAW). "Muhammad (SAW) is the messenger of God." This statement is the second part of the first pillar of Islam. This is the second most important statement in Islam. The first Muslims that accompanied Muhammad (SAW) when he traveled to Medina. an acronym that stands for "peace be unto him" a blessing which is affixed to Muhammad (SAW)'s name whenever it is written. In some circles and English writings, Sufis regard PBUH to signify "Peace and Blessings Upon Him" (the Rasul or Messenger of Allah). These are the primary English explications of the P.B.U.H. acronym. The Arabic version is S.A.W. classification of a hadith that are believed to be narrated by Muhammad (SAW) from God. The word Qur'an means recitation. Muslims believe the Qur'an (Koran) to be the literal word of God and the culmination of God's revelation to mankind, revealed to prophetMuhammad (SAW) in the year AD 610 in the cave Hira by the angel Jibril. May Allah be pleased with him. Variants are anha (her) and anhum (them). blasphemy Sabb Allah, Sabb al-rasul. companions of Muhammad (SAW). A list of the best-known Companions can be found at List of companions of Muhammad (SAW). "May Allah bless him and grant him peace." The expression should be used after stating Prophet Muhammad (SAW)'s name. See abbreviation: S.A.W. or S.A.W.S. also P.B.U.H. (in everyday usage, equivalent to 'Mr.') a descendant of a relative of Muhammad (SAW), usually via Husayn. The testimony of faith: La ilaha illa Allah. Muhammad (SAW)un rasulullah. ("There is no god but Allah. 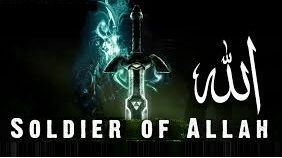 Muhammad (SAW) is the messenger of Allah."). Sunnis regard this as the first Pillar of Islam. Also may be used as a synonym for the term Istish'hād meaning martyrdom. the "path" or "example" of the Prophet Muhammad (SAW), i.e., what the Prophet did or said or agreed to during his life. He is considered by Muslims to be the best human moral example, the best man to follow. the largest denomination of Islam. The word Sunni comes from the word Sunnah (Arabic: سنة), which means the words and actions or example of the Islamic Prophet Muhammad (SAW). a principle that one is allowed to hide his true beliefs in certain circumstances to save himself of being killed or harmed. death (Barah-wafat) Muhammad (SAW) was born on the twelfth day of Rabi-ul-Awwal, the third month of the Muslim year. His death anniversary also falls on the same day, the word 'barah' standing for the twelve days of Muhammad (SAW)'s sickness. O, Messenger of God!. Term used by companions when interacting with Prophet Mohammad. Today, there have been 99 visitors (190 hits) on this page!